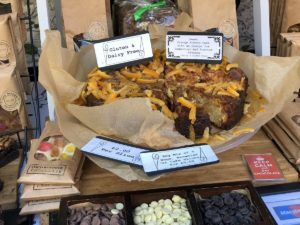 Crowds gathered in town on Friday to toast what is regarded as one of Liverpool’s most historic avenues, as the ‘Celebrating Castle Street’ food festival was held. The event, which was organised by Liverpool BID Company, was part of its wider Food and Drink Week. A range of delicious treats and cocktails was on offer from some of Castle Street’s most popular restaurants, cafes and bars, such as The Alchemist, Neighbourhood, Gino De Campo, Restaurant Bar and Grill and The Underground Gin Society. There were also arts and crafts stalls, street entertainment and freebies on offer. Castle Street is now regarded as one of Liverpool’s top spots for foodies, with its increase in local independent restaurants, as well popular food and drink chains from across the country. Bryony Parkman, 23, the Business Development Manager at The Alchemist, told JMU Journalism: “I not only love working in Castle Street, but I love socialising here too.